for hot tubs, spas, gazebos and patio heaters. We have the best Hot Tub selection in all of Colorado. Design your hot tub to fit your exact needs. We will be closed Easter Sunday. All other store hours will remain unaffected. Welcome to Colorado Custom Spas, Denver’s premier source for hot tubs, spas, jacuzzis, and swim spas. With 7 different brands available, both residential and commercial, we have the best selection of hot tubs for sale in Denver. We offer a variety of water management systems that reduce maintenance and the need for harsh chemicals. From saltwater hot tubs, to mineral, ozone, or UV systems, we are Denver’s hot water experts. We offer only the highest quality supplies, chemicals, and accessories for any brand of hot tub or spa. Our replacement hot tub covers are made using the strongest materials and are designed to withstand Rocky Mountain weather. Stop by our Denver showroom where you’ll find over 20 hot tubs on display and 4 or 5 filled with water. You won’t find any pushy salesman, just an experienced and friendly staff ready to help plan your perfect backyard oasis. We don’t do the “high pressure” sales thing and would love the opportunity to earn your business. Tuff Spas with their exclusive Tuff Top hard cover are designed to withstand Colorado weather and last a lifetime. They require no special wiring and plug into any standard electrical outlet. For almost 40 years, Artesian Spas has continued to set the standard for quality and reliability in American manufacturing. Their entire lineup is backed by a lifetime warranty on the shell and structure. 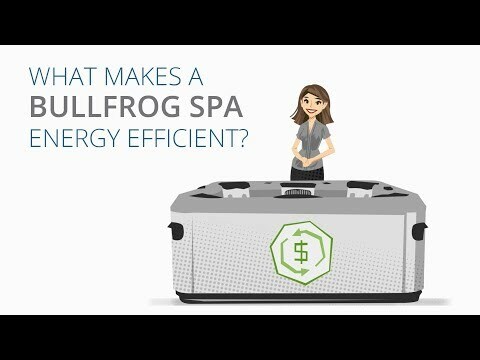 Manufactured in Salt Lake City, Bullfrog Spas represent the best of American ingenuity. 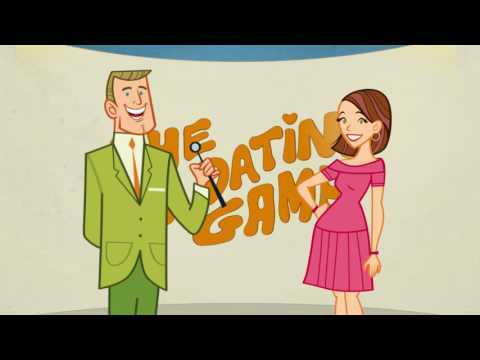 Their patented JetPak system allows you to fully customize your hot tub’s massage experience. Dimension One spas is recognized as an industry leader in quality and engineering. Passion for innovation has driven D1 for more than three decades. There is perhaps no finer hot tub available than their Bay Series spas. Tidal Fit swim spas provide a wide range of aquatic therapy. Whether you swim or jog in place, use the rowing machines and other built in exercise components, or just lounge on the hot tub side, Tidal Fit swim and exercise spas are a holistic wellness product that will improve your quality of life. Factor in our reputation for excellent customer service and support, you will feel the difference at Colorado Custom Spas. At Colorado Custom Spas we are passionate about providing a great experience for our customers. Our goal is to be the best hot tub store in Denver. We believe in the fundamentals of customer service including timely communication and a positive “can do” attitude. We are 100% committed to customer delight. The entire staff is highly trained and has a vested interest in taking care of your needs. Support is available 7 days a week. If you do a google search for “colorado custom spas reviews” you will see the result of this passion. We practice the golden rule! Click here to see clearance models or other special deals. We have hot tubs all over Colorado and the Front Range. Our service area includes, Denver, Denver Metro Area, Aurora, Littleton, Highlands Ranch, Evergreen, Conifer, Golden, Boulder, Lafayette, Castle Rock, Colorado Springs, Greeley, Loveland, and more. We also deliver to the mountain resort towns like Breckenridge, Dillon, Winter Park, Granby, Vail, Aspen, Grand Lake, Estes Park, etc. We even have installations in the surrounding states, like Nebraska, Kansas, Wyoming, and New Mexico. Colorado Custom Spas is a family owned business that genuinely cares about their customers. Should you ever have any questions or concerns, do not hesitate to call 303-HOT-TUBS. We are here 7 days a week and welcome your call. We want you to love your hot tub experience. We love our Dimension One spa! The entire team at Colorado Custom Spas has been great to work with. No pushy sales pitch like other places we went. The delivery guys were great too. We ran into a problem but they stepped up and went the extra mile to make it happen. We couldn't be happier. After shopping at every place in town, we finally settled on a Bullfrog hot tub from Colorado Custom Spas. We really liked the jet pack design and being able to choose which jets we wanted. The neck massager pack is my favorite! Our salesman Sam was really knowledgeable and didn't try to pressure us to "buy today". The delivery guys were fantastic as well. They took the time to show us how everything worked. Even when we call with a question, they are always very friendly and helpful. Thank you Colorado Custom Spas! After shopping at every place in town, we finally settled on a Bullfrog hot tub from Colorado Custom Spas. We really liked the jet pack design and being able to choose which jets we wanted. The neck massager pack is my favorite! Our salesman Sam was really knowledgeable and didn't try to pressure us to "buy today". The delivery guys were fantastic as well. They took the time to show us how everything worked. Even when we call with a question, they are always very friendly and helpful. Thank you Colorado Custom Spas! We've had hot tubs in the past and decided we wanted something simple this time. We liked the hard top cover and simplicity of the Tuff Spas. It really holds up to Colorado weather and is super easy to operate. We are very happy with our purchase and the overall service. What a great experience. It's refreshing to see that some places still care about good old fashioned customer service, a rarity these days. We use our Bullfrog hot tub every night! Thank you so much for going above and beyond to keep a customer happy. We very much appreciate all you did. We will be sure to let everyone we know how good your business is! Thanks again.